Although the author of this post is an attorney, nothing contained in this post should be considered legal advice. For legal questions, please consult with an attorney from your jurisdiction. 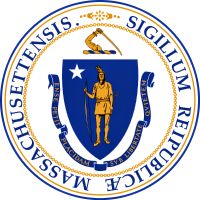 In a bold move, the Securities Division for the Commonwealth of Massachusetts announced guidelines on the use of social media for state investment advisors who were previously permitted to market their services on social networks, such as LinkedIn, Twitter and Facebook, without social media guidelines. Coming just two weeks after the SEC issued its own set of social media guidelines, the Division's actions have raised the bar for other states to take similar action for the protection of investors. Though many investors think that all investment advisors are regulated by the SEC, the reality is that the SEC only regulates investment advisors who manage $25 million or more in client assets. For investment advisors managing less the $25 million in client assets, the responsibility of regulation is left to the securities regulator for the state where the adviser has its principal place of business. 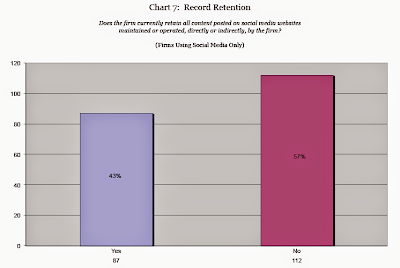 In July of 2011, the Massachusetts Division conducted a survey of investment advisers registered and doing business within the Commonwealth to "to determine the scope of investment advisers' use of social media, and what, if any, record retention and supervisory procedures have been implemented or utilized by those advisers." Seven-nine percent of the 576 investment advisers registered with the Division responded to the survey. 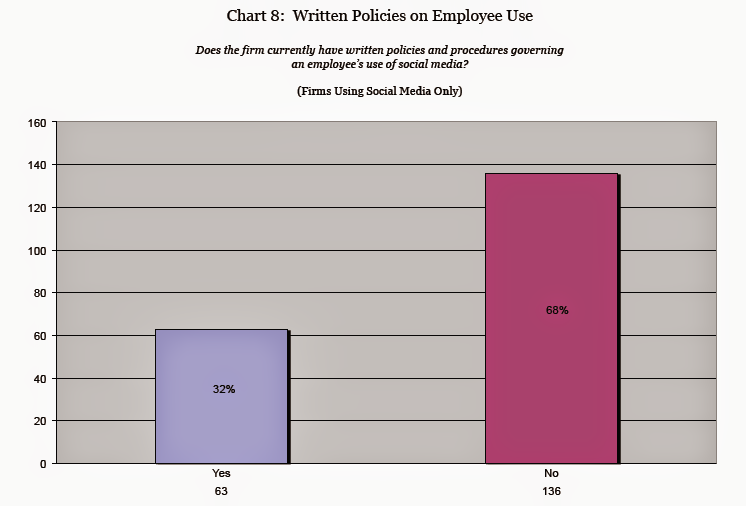 A report of the Division's survey results revealed that sixty-eight percent of investment firms using social media failed to have written policies on employee use of social media and that fifty-seven percent failed to retain records of content shared on social networks. Based on the survey's findings on the failings of self-regulation, namely, the absence of in-house guidelines, archiving and supervision, the Massachusetts Division decided that it needed to provide social media guidelines for investment advisors it is charged with regulating. Massachusetts' decision to issue social media guidelines raises the bar for other states that have yet to issue any guidelines. Because of Massachusetts' leadership, another stretch of the "Wild West" of social media may be soon coming to a close as other states, invariably, come to recognize that the absence of social media guidelines for a large swath of investment advisors in the social media space potentially puts at risk scores of family life savings and retirement funds. Establishing social media guidelines should help the vast majority of ethical advisors who may have shied away from social media participation due to the lack of guidelines. They should also help trigger earlier detection of unscrupulous advisor activity in the social media space. One of the most intractable, regulatory issues in social media for highly-regulated industries has been "What to do about the sharing of links?" In the pharmacuetical space, the requirement of "fair balance" and other considerations have placed serious constraints on link sharing. For the Massachuesetts Securities Division, however, this issue is not so intractable. Simply, the Division has warned advisors that the sharing of a link, or "retweet" in Twitter, "without context", could well trigger impermissible "adoption" or "entanglement" -- but the key point to observe is that by providing "context", a violation might well be avoided. Though the message is still one of "proceed with caution", it also demonstrates a real understanding of how social media works and how it can be used in a compliant fashion. As a general rule, social media accounts created or maintained for business will be considered advertising, and subject to the same regulatory requirements as other forms of advertising. Advisors are now required to retain records of their social media "advertising" and "correspondence". An adviser may also be responsible for content it did not author, i.e., third-party content, if the adviser has some responsibility for its creation (entanglement) or has somehow endorsed it (adoption) after the content was created. "Retweets" on Twitter or link-sharing, without "context", may trigger impermissible adoption or entanglement. Selectively deleting third-party material unfavorable to the adviser but continuing to display favorable content, may be deemed to adopt the remaining content. Advisers should develop policies and procedures that maintain a schedule for review of third party posted content and, if the adviser chooses to remove content, criteria for removal. LinkedIn recommendations may constitute impermissible testimonials and advisers should consider a policy to restrict the public posting of client recommendations to their LinkedIn profile. Certain social media websites, such as Twitter, may be an inappropriate medium for discussion of performance advertising because of challenges to full and fair disclosure of all material information. An adviser should conduct a daily review its social media presence and ensure that any content that could be considered non-compliant is removed or hidden from view promptly. To avoid impermissible "adoption" or "entanglement" with third party content, advisors not solicit third party content on their website nor link to third party content that they have not thoroughly reviewed. Advisors should provide a disclosure statement on their social media sites. On the subject of advisor supervision and compliance, the Division largely embraced and adopted the recently enunciated SEC guidelines, charging its advisors to adhere to those standards, calling upon investment firms to establish a social media compliance program that would specifically address several factors: 1) usage guidelines as to proper and improper use of social media by investment adviser representatives, 2) content standards, 3) the manner and frequency with which an adviser will monitor social media websites, 4) whether investment adviser representatives must have social media content approved prior to public posting, 5) criteria for determining which social media or networking websites may be used by the firm and its representatives, 6) whether to train investment adviser representatives on compliant use of social media, and 7) certification requirements. Over regulation? A model for other states to follow? What are your thoughts? Well, you can be sure that NJ will step up to the plate to be first to regulate ALL social media using that first very general item on the Mass. list: "As a general rule, social media accounts created or maintained for business will be considered advertising, and subject to the same regulatory requirements as other forms of advertising." I can hear them salivating in Trenton now. One of the most intractable, regulatory issues in social media for highly-regulated industries has been "What to do about the sharing of links?" In the pharmacuetical space, the requirement of "fair balance" and other considerations have placed serious constraints on link sharing.